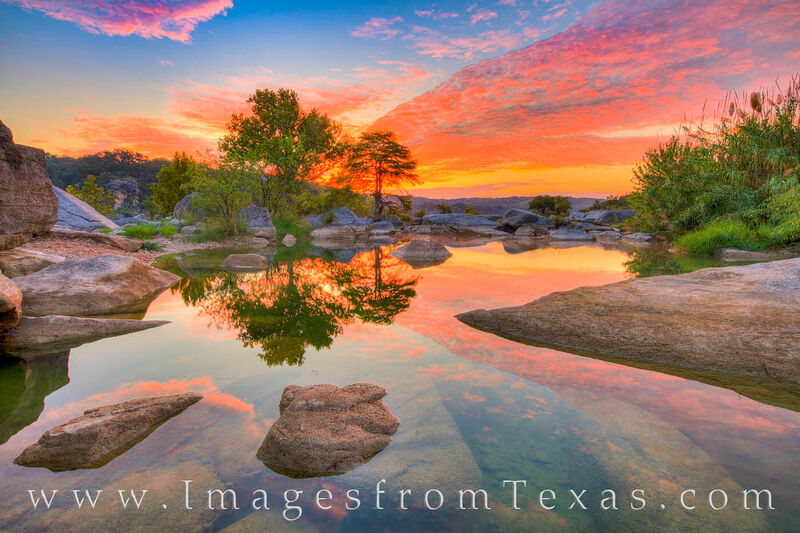 One of my favorite places in the Texas Hill Country is this little pool along the Pedernales River. From the moment I rolled out of bed around 5am, I knew it was going to be a good sunrise - I just didn't know how good. The biggest question for me as I walked along the river was where to shoot this moment. I knew I had one five minute window to capture the colors. So from here straddled on the ridge of a small outcropping of rock in this clear, cool water, I made my nest and waited. The sky was beautiful this morning, and I felt fortunate to enjoy this fleeting moment. Photo © copyright by Rob Greebon.